Today I here to show you a wall hanger that I made for my aunty who owns a sewing shop. It is not déjà vu, she asked me if I could make this card again for her, but much bigger for hanging in her shop. Of course scaling from 6" square to 14" was not that easy, because the same embellishments didn't have the same effect, and some of the ones that I used before I didn't had any more. Also, this time, for saving her some time. I decided to print the pre-coloured image instead of colouring it myself. You can't guess how many times I regretted it, because despite the quality of the image being great, it was a real pleasure colouring her for the first time and I missed it this time. However, I had a fun time making most of the embellishments myself. 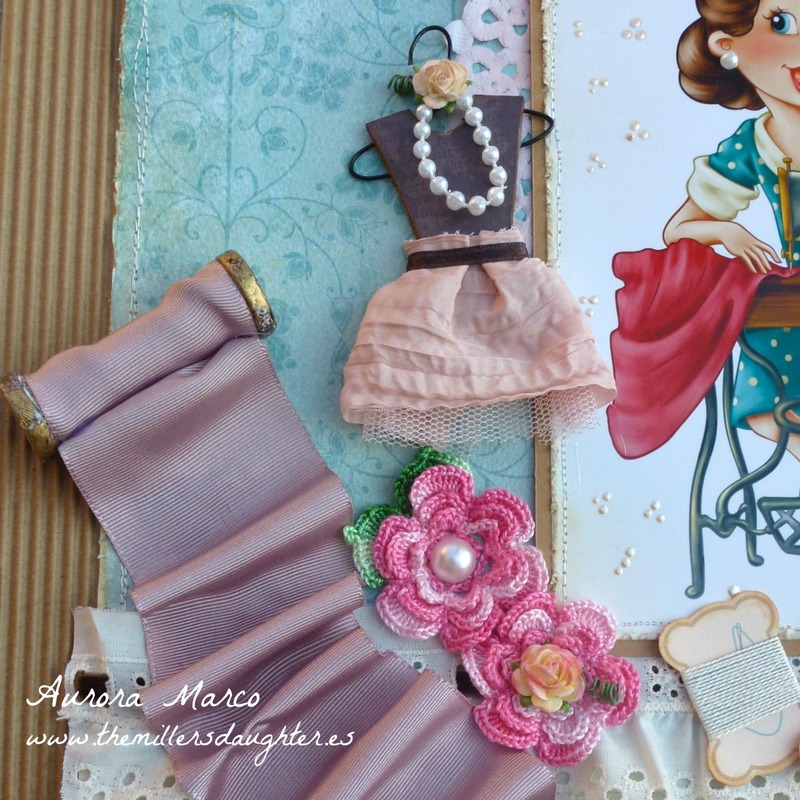 In this card: Vintage Seamstress by The Paper Shelter. MME's, Stella & Rose, patterned paper. Buttons, ribbons, lace, flat back pearls, paper flowers, crochet flowers, scissors charm, doily, liquid pearls, flat back pearls, frantage, etc. everything from That Craft Place. 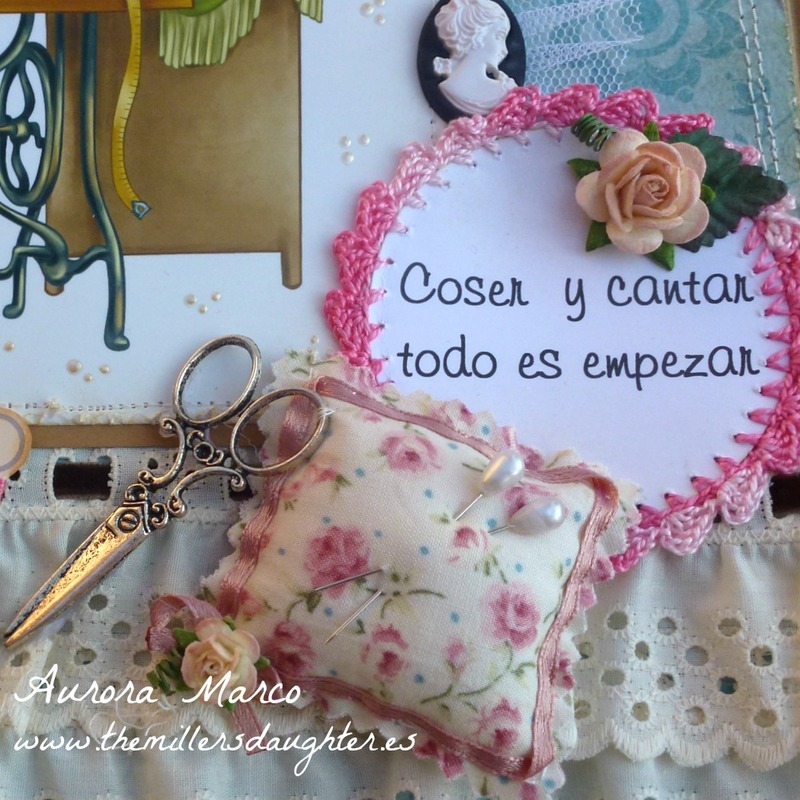 Es muy bonita y no.....no tiene que ser fácil llenar ese espacio, yo que sufro Horro vacui................;) chachi tu crocheting. Wow! This is fantastic! Can you make me one? lol Great details and design! Thanks for sharing your fabulous project and joining us for our current challenge at Inspiration Destination. Hope to see you again and good luck! Stunning wall creation! I am sure your Aunt will love this beautiful gift! Wow - this is really beautiful!!! - Love all the fun details, and of course the image! I love your card and all those fabulous emballishments you have used. I have this image on my wish list for like forever and now I just have to go get it! I love this !! Amazing details .. I can look at it a long time ..
oh! I love all those cute little embellishments on your card! 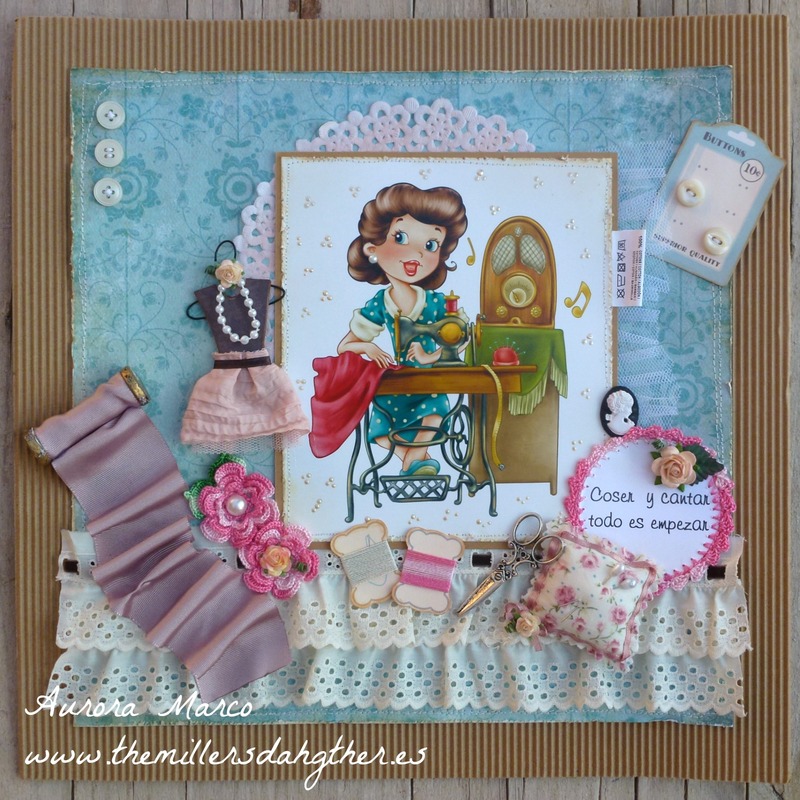 The pillow is so cute as is the image and everything about this creation.Thank you so much for sharing this with us at Scrapping4Fun Challenge this time. Good luck, Rupa (DT).